When you sell items, or perform services for a customer, you will often need to add sales and/or service taxes to your invoices (GST, VAT, etc). ZipBooks gives you a simple way to do that. 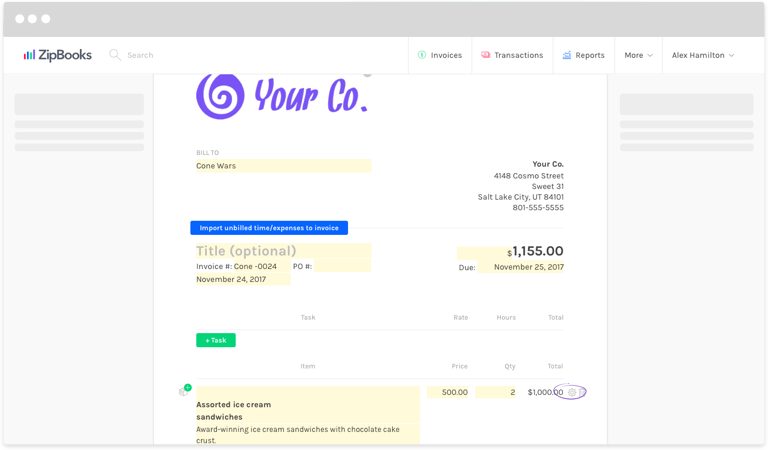 Log in to ZipBooks and create your invoice. 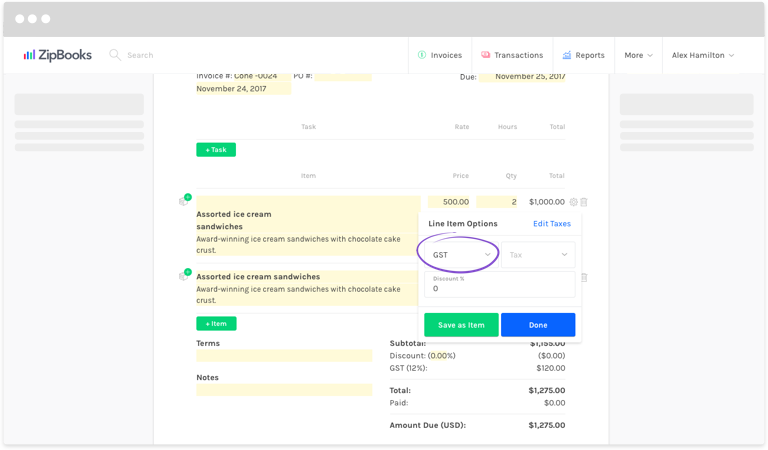 Find the Task or Item that you need to add tax to, and click on the Gear icon on the right side of the line. A Line Item Options box will pop up. Click on Edit Taxes in the top right corner of the box. When the Edit Tax window opens, click the green +Tax button to create a new tax rate. Add the name of tax and the percentage rate. Add as many rates as you need, then click the blue Save button. Click the Gear icon again, and choose the taxes you want to apply in the dropdown menus at the top of the box. (Apply up to two taxes to each line item). Check the box to Apply taxes to the entire invoice or leave the box unchecked to only tax relevant line items. That’s it! 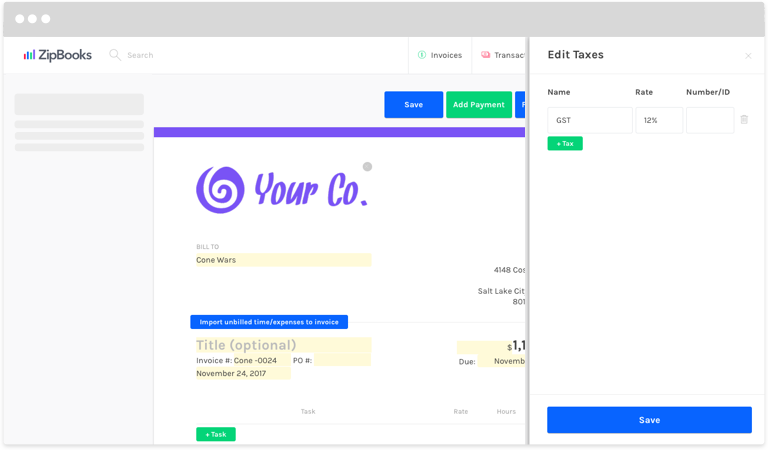 Now ZipBooks will automatically calculate your taxes at the bottom of the invoice, under Subtotal.